If you have double pane windows (also called dual pane windows, insulated windows) you have to be careful which films you use. This article will explain why you must be concerned and which films you can use. Always be careful with double pane windows! They are one of most common forms of glass breakage. 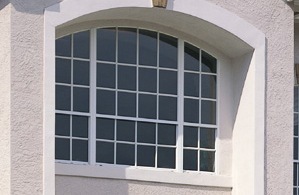 If you’re looking to get started right away, these films are safe when tinting double pane windows. Also, all the products on the right are safe on double pane windows! Double pane windows are just that: two panes of glass that are sealed with a space in between, usually filled with a gas. These windows are beneficial for heat insulation, but adding window film to them can alter the solar properties and potentially damage the glass. The biggest factor here is heat absorption. As a general rule, any film that has a Solar Heat Absorption rating of 50% or greater is NOT safe on dual pane glass. Be sure to double check this rating on any film you use if you are tinting insulated glass. In addition, it is never recommended that you use any automotive film on dual-pane windows, even if the heat absorption is less than 50%. Generally, any other film type will be safe, including all Dual-Reflective films, Silver films, and Frost films. Any retailer or installer will have films that are not safe clearly labeled, so just be sure and ask if you are not sure.